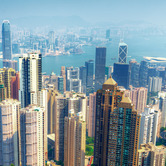 According to a new report by CBRE, Hong Kong is once again the world's highest-priced office market according to CBRE's semi-annual Global Prime Office Rents survey. The study also found that markets in the Americas and EMEA showed the most consistent growth in rent. "Prime rents showed the strongest growth in information technology and media hubs, including Stockholm, Amsterdam, Tel Aviv, New York and Seattle," said Richard Barkham, Global Chief Economist, CBRE. "Co-working operators have been active in acquiring new space, particularly targeting tenants in tech industries." 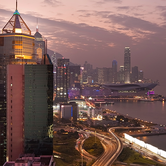 Asia dominated the top ten most expensive markets in the world, with Hong Kong holding two of the top three most expensive office markets. Hong Kong's (Central) overall prime office rent of US$269 per sq. ft. per year was followed by Beijing (Finance Street) at US$174 per sq. 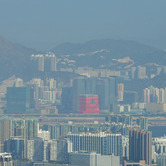 ft. and Hong Kong (West Kowloon) at US$164 per sq. 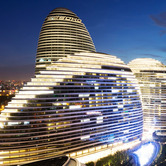 ft. New York (Midtown Manhattan) and Beijing (CBD) rounded the top five, with Tokyo (Marunouchi/Otemachi), Shanghai (Pudong) and New Delhi (Connaught Place - CBD) also featuring in the top ten most expensive list. Global prime office rents--which reflect rent, excluding local taxes and service charges for the highest-quality, prime office properties--rose 2% year-over-year, with the Americas performing the strongest, up 3.4%. Asia Pacific was up 1.2%. "Prime office rents are growing firmly at the top end of the market, reflecting strong demand for premium space across Asia Pacific. 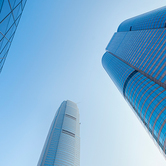 We are seeing prime office rental growth outstripping the overall market performance," said Ada Choi, Director of Research, CBRE Asia Pacific. CBRE tracks office rents for prime office space in 121 markets around the globe. Of the top 50 most expensive markets, 20 were in Asia Pacific, 18 were in EMEA and 12 were in the Americas.